An outpouring of cheers, tears, and applause propelled this tender and hilarious first novel onto national bestseller lists immediately upon publication. 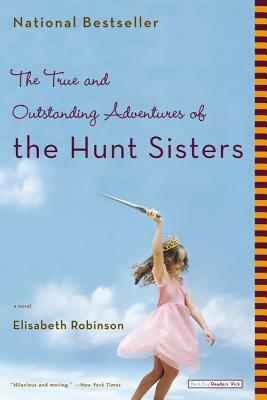 Telling the story of two sisters-Olivia, a hotshot Hollywood producer whose life is unraveling, and Maddie, an unflaggingly optimistic, seriously ill midwesterner whose idealism has always driven Olivia crazy-The True and Outstanding Adventures of the Hunt Sisters offers a startlingly poignant reminder of how hope can grow in even the darkest places. Description: Shelf-wear. Crease on lower corner of front cover.